Fresenius Medical Care is the world’s largest dialysis company with more than 2,100 clinics open throughout the United States. Although Fresenius already has thousands of dialysis clinics nationwide, the company continues to grow and expand its reach. In just the past few days alone, for example, Fosters.com reported that a new location had opened more than six months after seeking approval from the state. 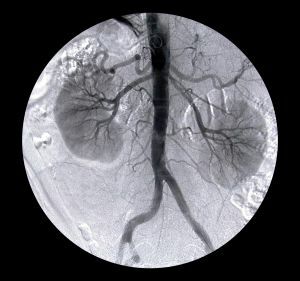 Nasdaq.com also announced that Fresenius Medical Care had partnered with Heritage Provider Network to prove composite health management for patients suffering form end stage renal disease. With all of this good news, Zolmax reported that Fresenius Medical Care’s stock had been trending upward with buy or hold ratings from stock analysts. The medical device manufacturer is undoubtedly enjoying both growth and success, as the news shows. Unfortunately, our Boston dialysis malpractice attorneys know that the company has already proven itself to behave in an irresponsible and unsafe manner towards patients. And the company is growing and expanding even as it faces ongoing lawsuits arising from some of its dialysis drugs. The claims that are ongoing against Fresenius hinge on two products: GranuFlo and NaturaLyte. Both of these medications were used to provide treatment for dialysis patients. Infortunately, providers administering GranuFlo and NaturaLyte were not made aware of the unique properties of this drug and thus mixed an incorrect solution for patients. Those who were dosed with the drug had a significantly greater risk of developing a problem, and many suffered heart attacks as a result. This increased risk of heart attack was directly caused by Fresenius and by drugs it produced, and thus lawsuits are ongoing to make Fresenius pay the consequences. Especially egregious is the fact that Fresenius knew of the dangers of its products and sent out a warning to its own clinics but did not issue a more general widespread warning to clinics outside of the network — despite the fact that those clinics also were using its product. Unfortunately, this shows that Fresenius has made some grave mistakes in the past and that it may not have the best interests of patients at heart when it comes to choosing between patients and corporate profits. So, even as Fresenius grows, expands and opens more clinics, patients who were harmed by the dangerous drugs released by this company continue to fight to seek justice. Recently, eleven of the federal claims that were pending against Fresenius were consolidated in a multi-district litigation in the District Court for the District of Massachusetts. This will allow for the cases to move forward more quickly and to resolve certain issues of fact that can be helpful in plaintiffs obtaining monetary compensation. Multi-district litigations are different from class actions, which involve plaintiffs hurt by the same thing who suffered similar injuries. Multi-district litigations, on the other hand, involve plaintiffs hurt by the same basic cause — in this case the bad Fresenius drugs — but who are suffering from different medical problems as a result. The consolidated multi-district litigation will allow some of the basic questions to be answered more quickly and give each plaintiff the chance to get a damage award that makes sense for them in their own case. As this multi-district litigation and other pending cases rage on, Fresenius simply continues to expand. Hopefully, the company has learned its lesson and isn’t putting anyone else at risk.